Speeding tickets can be an unfortunate part of our hectic, fast-paced lives. Once you get a speeding ticket, you end up paying money in two directions. You shell out for the cost of the ticket up front. On the back end, there are possible points on your license and subsequent increases to your insurance rates. This is why it’s always best to have something remind you to ease up on the gas pedal. Solid Signal carries a device that might be able to prevent this from happening. We also help you save money on this useful product for your car, truck, van, or SUV. Solid Signal offers you a great opportunity to name your price on this radar and laser detector. A popular manufacturer of affordable and effective detectors makes it. This particular model is unique because it offers voice alerts in English or Spanish. (You get to choose which language you prefer.) This makes it a very practical device for many Americans who speak either or both languages. This detector is equipped with field disturbance sensor rejection (FDSR) system. This useful feature filters out the K-band blind spot and collision avoidance systems of other cars on the road. (Radar detectors without FDSR will constantly alert whenever another vehicle with collision avoidance is near.) This technology was developed by the company that makes this radar detector, and is patent pending. This radar and laser detector’s FDSR also features traffic flow sensor rejection (TFSR). This means the device won’t flash a false signal whenever you drive through areas with static radar monitors placed nearby. (These are often found in most cities.) This technology recognizes and filters out these nuisance alerts to create a better driving experience for everyone who owns one of these handy radar detectors. You probably want to know who manufacturers this rather clever radar detector. We can tell you that it’s a company known for making quality radar detectors at affordable prices. There’s another reason we won’t tell you who makes it: we want you to save money on it. The manufacturer requires that we advertise this device at its suggested retail price, but we have a way to help you save even more. Download and install the app to your web browser. Click on this link to the radar and laser detector with FDSR. Find the red banner at the top of your screen. Accept the suggested bid, or make one of your own. We’ll let you know if your bid is accepted. If not, we’ll do our best to get you the most attractive deal possible. 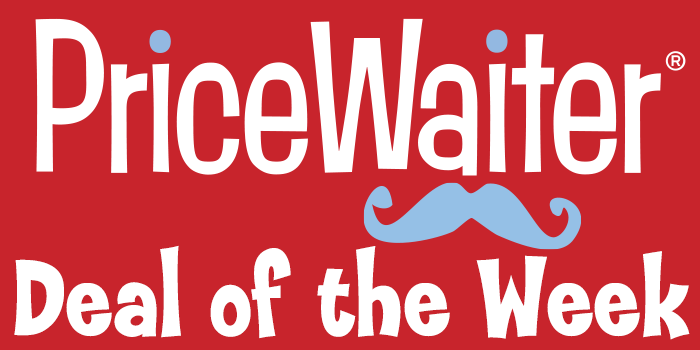 PriceWaiter is the easiest way to get the best savings on nearly any item we carry. We encourage you to use it to get this detector. If you have any questions about this device for your vehicle, call us at 877-312-4547. So? Are you ready to equip your vehicle with the radar and laser detector that helps you avoid costly tickets? If so, place your bid on PriceWaiter today. Good luck! Oh, and always keep in mind that it’s up to you to operate a radar and laser detector according to your local laws.